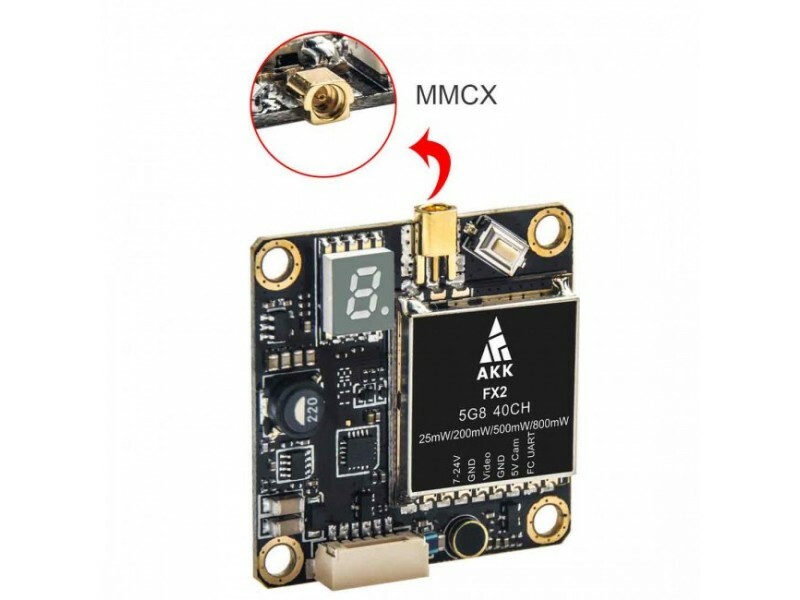 The AKK FX2 has the same format and MMCX connector as the FX3 but it comes on a 30x30 mount. 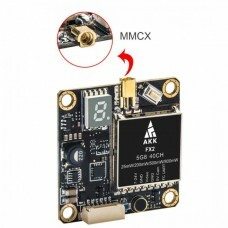 This rotatable connection is much more secure and guarantees against the accidental unlpugging that sometimes happens with UFL connectors. 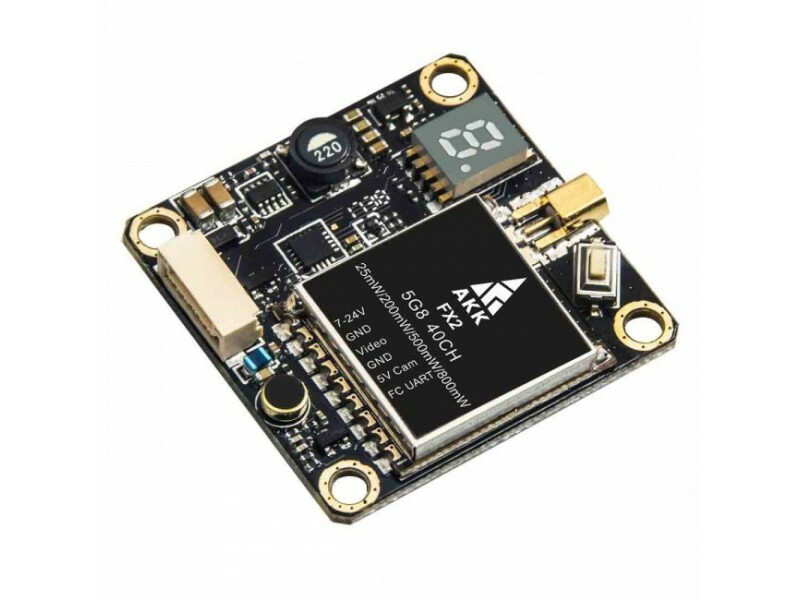 The FX2 provides full Betaflight UART control through the Smartaudiio protocol and has switchable power at 25/200/500/800mW. 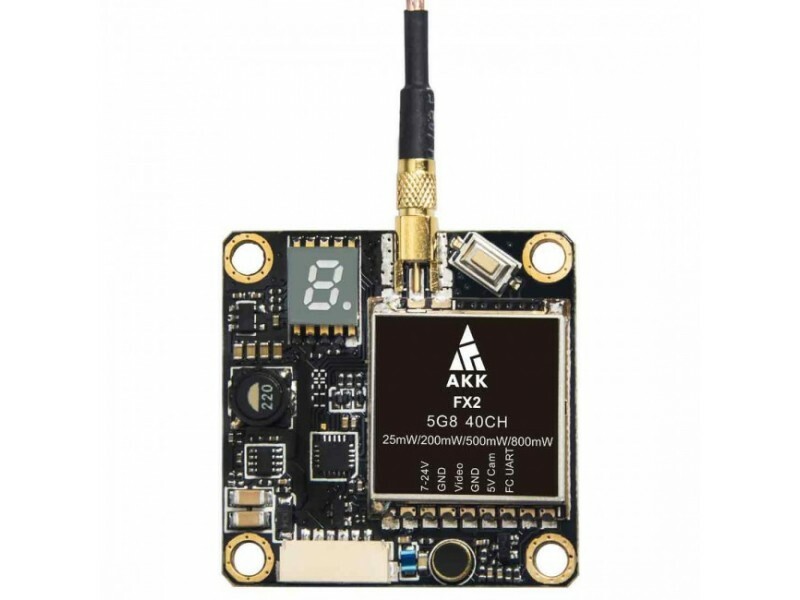 Button control is also available with alphanumeric LED display and the standard 40 channels. 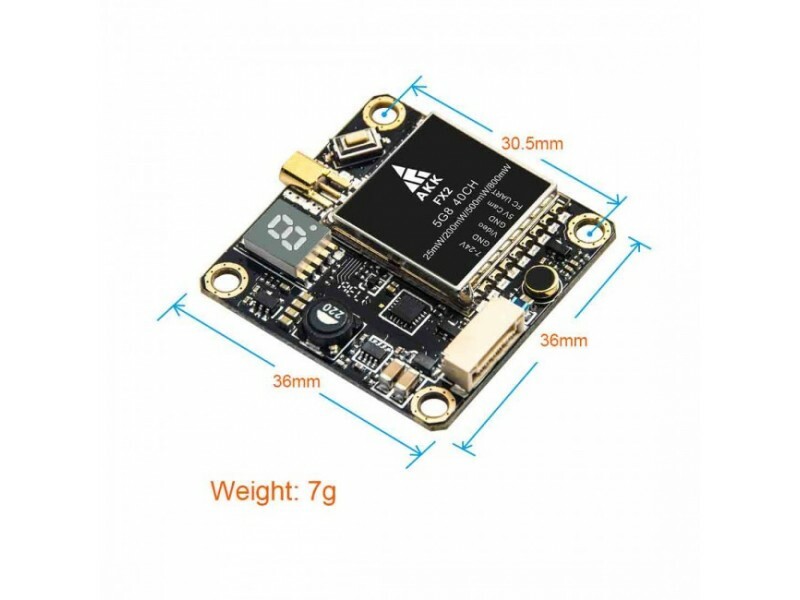 It takes 7-24V in and provides 5V up to 300mA camera supply. 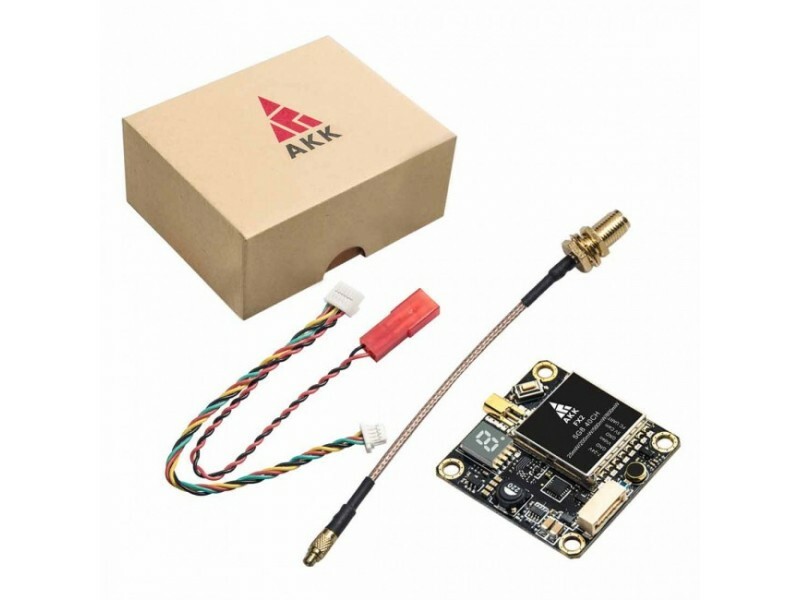 An onboard microphone provides audio to your FPV feed. Channels E4, E7 and E8 are blocked and not unlockable (regardless of what may appear in a script).